Coelacanths are some of the strangest fish that swim the world’s oceans. 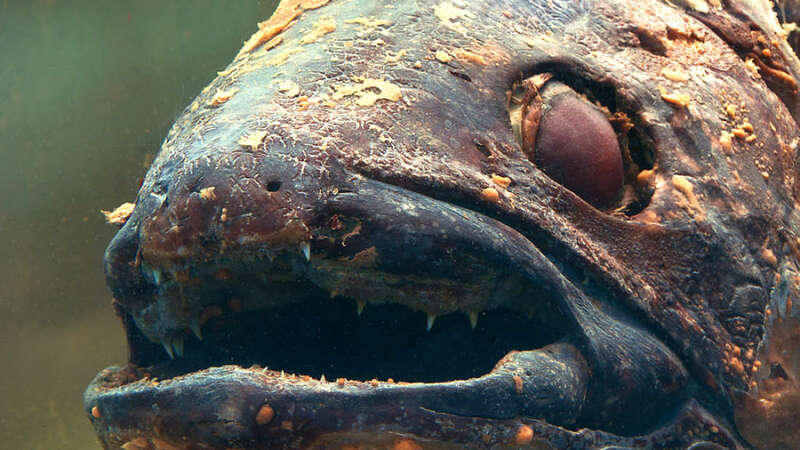 These wonderfully ugly fish have remained almost unchanged for over 400 million years – that’s over 160 million years before the first dinosaurs appeared. However, even these so-called “living fossils” aren’t safe from the problems facing the world’s oceans. Blue Planet Society, a UK-based environmental pressure group, recently shared this image of a coelacanth that appears to have food packaging lodged in its stomach. Blue Planet Society told IFLScience that the image was originally taken in 2016 by an Indonesian fisherman, but has not been widely shared –until now. “ARE YOU KIDDING ME??!!! Potato chips wrapper found inside a COELACANTH,” tweeted Dr Solomon David, an Aquatic Ecologist specializing in primitive fishes, in response. Not too long ago, coelacanths were assumed to have been extinct for millions of years, until they were discovered swimming in deep waters in the Indian Ocean, off the coast of South Africa in 1938. The Indonesian coelacanth, one of two living species of coelacanth, is listed as vulnerable by the IUCN Red List. Conservationists suspect that as little as 10,000 mature individuals remain in the wild. Although they have no value as food, they are extremely susceptible to bycatch by deep sea fishermen. Due to their bizarre natural history and destructive looks, the species are an extremely sought after aquarium fish. However, specimens don’t tend to live long in captivity. We can all make small lifestyle changes to curtail plastic pollution, such as simply taking a reusable bag to the supermarket, for example. However, a huge amount of responsibility rests in the hands of large corporations to make a meaningful difference. A select few multinational giants produce the majority of the world’s fast-moving consumer goods, such as packaged foods, beverages, and toiletries. Plastic or other non-biodegradable materials are also the go-to packagings for many of these goods. In turn, these dozen or so companies are accountable for more than their fair share of plastic pollution and non-biodegradable trash in the ocean. “[Large consumer goods producers] are all fully aware that public opinion is against them. But some are resisting change because of cost, marketing, shelf-life, etc. None are making changes quick enough,” John Hourston, founder of Blue Planet Society told IFLScience.